Halloween is over, that means I can get excited for Christmas right? No? Just me? Well, if you're like me, and OBSESSED! Then here is a great little freebie for jotting down those Christmas lists, or ideas for gifts. They seem to come and go quickly in these last few weeks before Christmas, so make sure to keep this handy when shopping or surfing Facebook. Or you can hand it to your kids and say "write down your top five". 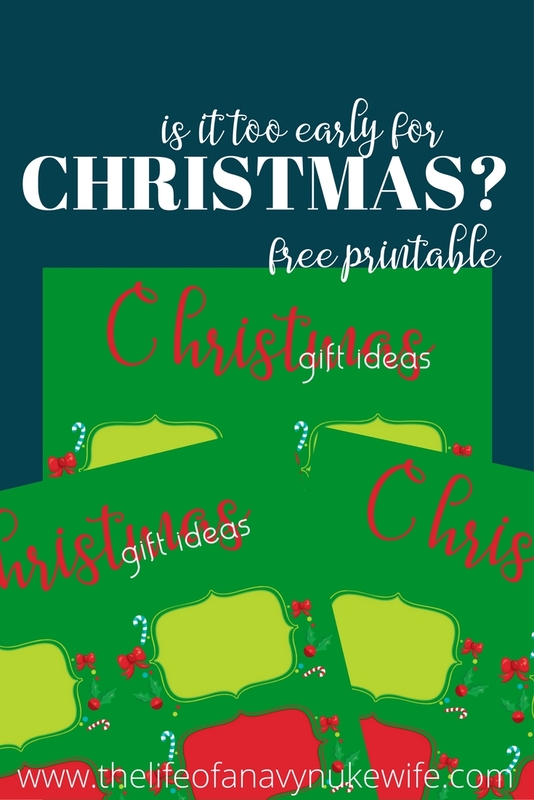 This has six blank spots for ideas, so you can fill them out and have a list available when you're ready to sit down and get your shop on at your favorite online retailer, or bring it with you to the store while your kids are at school. Either way, it's a beautiful way to keep track of what you plan to get! Join me in beautiful Christmastime-land, and help me think of ideas for my children!